I haven't talked a whole lot about Christmas gifts here, but I did come away with two great hats: a new Scott Camo hat and an Orvis Permit hat. But one of my favorite gifts wasn't one I got, but rather one I gave. 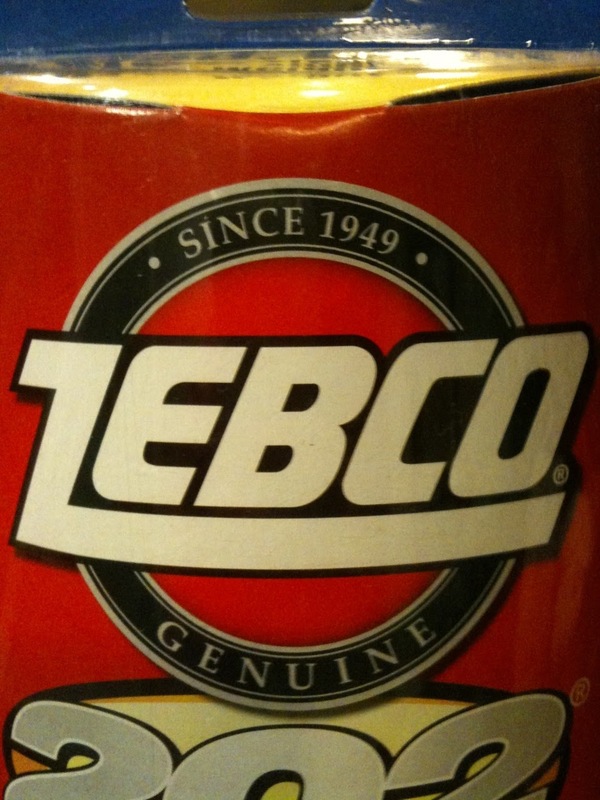 My three year old son got his first fishing rod, a Zebco. Now if you read the Bonefish Flat, you know I'm not much on baitfishing rods, but for a three year old, this should make life a little easier. Combine this rod with the fact that there are several small ponds near the new bonefish flat HQ, and we should be looking at a fun summer. 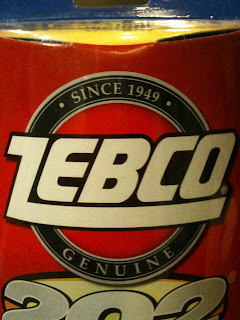 And if you're wondering, my 5 year old daughter got her Zebco the other year, so the kids are ready to go!! What better way to ring in 2011 than with a new pair of shades to help you spot that tarpon that's laid up next to a clump of mangroves. Thanks to Costa, now you can do it. Costa Del Mar recently announced a new pair of sunglasses to it's lineup: the Fantail. The Fantail is designed to give a 360 degree view which means they cover the whole range of view. This should mean no glare and more opportunity to put get that big tarpon to the boat. For complete details, see the release below. Daytona Beach, Fla. – Jan. 4, 2010 – Costa sunglasses will kick off 2011 with the introduction of its newest pair of polarized performance shades, Fantail. Unique to Costa, Fantail features what’s known as “360 degree co-molded technology” – a no-slip Hydrolite™ lining along the entire interior of the frame to help keep the sunglasses comfortably in place all day. Fantail has a hard rectangular shape frame, with a medium to large fit. The bold nylon construction provides maximum durability and “forget-they’re-on” comfort fit, able to withstand harsh outdoor conditions and rugged adventure. Available in tortoise or black frame colors, consumers can choose the lens option to best suit their outdoor lifestyle. Costa’s 580™ lenses – dubbed by some industry insiders as the clearest lenses on the planet – are now available in either glass or polycarbonate. Glass is still the most optically clear and scratch resistant, while polycarbonate offers a lightweight, impact resistant alternative. Lens colors include gray, copper, amber for Costa 580P, with the same colors, plus blue, green and silver mirror options in 580G. Fantail will retail from $149 to $249, depending on customized lens selection. The new style will be available in retail outlets and online at www.costadelmar.com <http://www.costadelmar.com> in January 2011. A portion of the sales generated from Costa’s products help support important marine conservation efforts, including the Bonefish Tarpon Trust’s Project Permit and Trout Unlimited’s “Embrace a Stream” program. About Costa™As the leading manufacturer of the world’s clearest polarized performance sunglasses, Costa offers superior lens technology and unparalleled fit and durability. Still handcrafted today in Florida, Costa creates what has been referred to as the highest quality, best performing sunglasses on the planet for outdoor enthusiasts. For more information, contact 1-800-447-3700 or visit the company’s web site at www.costadelmar.com<http://www.costadelmar.com> . Join the conversation on Facebook at www.facebook.com/costadelmar.com<http://www.facebook.com/costadelmar.com> , on Twitter @CostaSunglasses, or on The Watery Rave blog <http://www.thewateryrave.com/> . I found a picture that I really liked of my Dad and one of my favorite guides poling in a skiff and thought it might make a great beginning to the site. I was able to tweak it into a drawing through the magic of the internet, so I hope you like it. In the Chinese New Year, 2011 is the year of the rabbit. But here at the Bonefish Flat it's officially the year of the Redfish. If you follow the site, you know that I'm about all kinds of saltwater fly fishing and the redfish has thus far proven elusive for me. I had a work trip scheduled to New Orleans last year (Who Dat!! ), but my side trip to catch a NOLA red got cancelled due to some unforeseen circumstances so I couldn't get into the reds. I did get a chance to see some of the city and am really looking forward to going back sometime. Redfish run in the shallows from Virginia to Florida and through the Gulf Coast. In Virginia, they can be a little harder to catch simply because there aren't as many of them and here they are known as puppy drum. You can catch bull reds in the Chesapeake Bay in Maryland, but you need to troll for them as they swim deep and they make for next to impossible fly rod targets which is how we roll here on the flat. I've been out several times in the Virginia Beach area for Reds, but haven't had any luck. The fish there aren't that plentiful and like almost saltwater fishing, you've got to know your tides. My Kayak In Virginia Beach looking for Reds. Tom with his old tricked out yak taking a break from the Redfish Hunt. 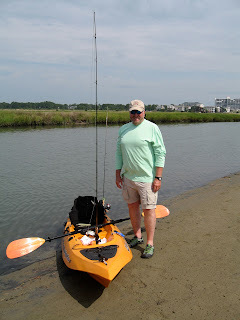 So why is this the year of the Redfish, in addition to my annual trip somewhere bonefishy, I'm trying to plan a trip to Charleston, S.C. for a few days and use the kayaks to try and catch a Red. 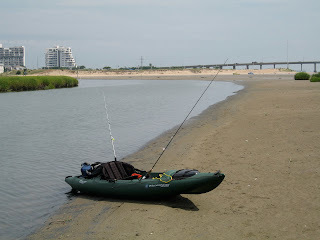 So this year, we'll be writing more about kayaks and about planning a DIY trip to South Carolina (or somewhere nearby). It's always an adventure when you try to DIY on these kind of trips and this one should be no different. If you have any tips, advice, or good places to get started, drop me a line at bonefishflat@gmail.com.